New this holiday season, the Transit Police Division now has Transit Response Teams. “These teams conduct focused missions to add a layer of security at times – responding to trends or targeting specific crimes,” said TPD Sergeant James Eriksen. 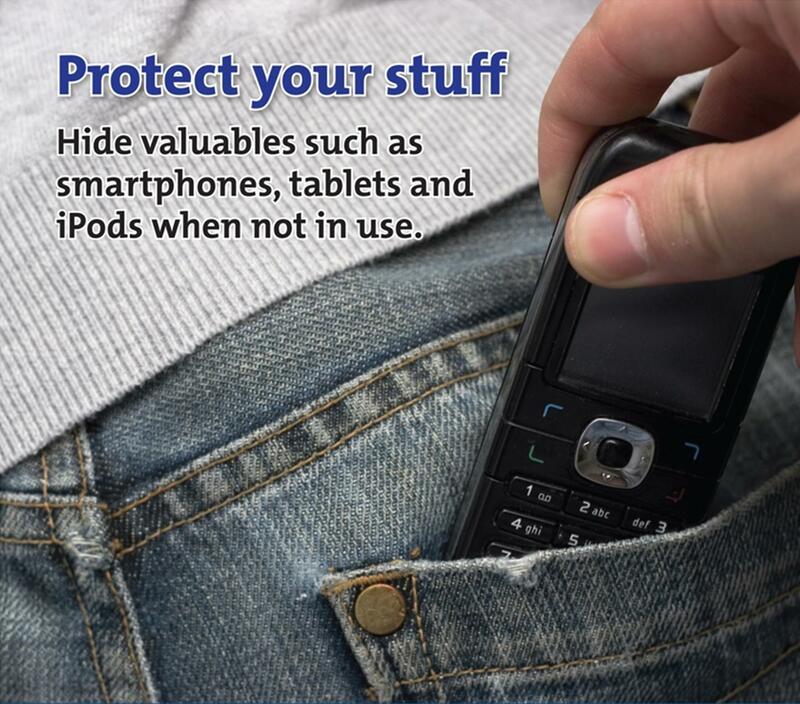 TriMet and TPD offer these tips on how to keep your belongings safe this holiday season when riding transit or anywhere in public. 1- Pay attention to your belongings so you don’t forget them when you go. Not everyone will turn them in to lost and found. 2- Keep a hold of your purse, backpack, bag or shopping bags. Don’t set them down on another seat or a bench where they may be taken. 3- Keep your phone stowed away or at least in your control. If a stranger asks to borrow your phone for just a moment, tell them no. 4- Keep an eye on your bike. Don’t walk away from it on the platform. Don’t hang it on the hook and then go to the other end of the train, take a nap or get completely engrossed in your phone. On a bus, sit or stand where you can see the bike out the front windshield. 5- Whether using a park and ride, or parked at the mall or in a parking garage, do not leave your belongings in plain sight. Put them in the trunk or use a cargo cover in the back of your SUV. Thieves are on the lookout for quick smash and grab opportunities, especially this time of year. While you protect your items, help others protect theirs as well. 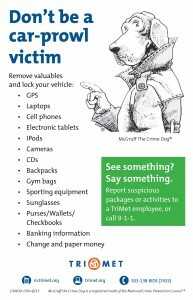 If you see something concerning, alert TriMet personnel. In addition to security cameras on buses, trains and platforms, we have Transit Police officers and security staff conducting random patrols on and around the TriMet system. Alert them or call 9-1-1. Working together, we hope everyone has a happy holiday season.